A levelling of the playing field across Europe has long been in the pipeline, but is it all an EU smokescreen? IT HAS BEEN very much handbags at dawn over the EU’s proposed tax harmonisation rules this week. Asked in Brussels last night about the proposals to bring the various EU tax states in line with each other the Taoiseach was unequivocal. “Ireland has always objected to the proposal that was on the table as being unworkable and not a feasible proposition at all,” he said. The proposals in question could of course have implications for Ireland’s corporate tax rate of 12.5%, something successive governments have been willing to do anything to preserve. If the commission comes forward with a new set of proposals we will engage with that constructively and see what they contain but, in respect of the proposal that was there, we’ve always said from the very beginning that this is not workable and we object to it. The general scheme of thinking behind tax harmonisation is to cut down on large multinational corporations using favourable residency in order to pay miniscule amounts of tax compared with what they might pay elsewhere. Ireland, obviously, has no shortage of such corporations with many enormous tech companies (Google and Facebook to name but two) having bases here. Earlier this week EU economics chief Pierre Moscovici announced that all EU states will have to provide details of tax arrangements granted to foreign companies from January 2016. Officially the EU CCCTB proposal is seeking to bring the various EU states’ treatment of tax in line with each other, possibly as early as this June. So, the situation is hotting up once more. TheJournal.ie spoke to Peter Vale, tax specialist with Grant Thornton about how the situation is likely to unfold. “The issue of tax harmonisation is not a new one, they’ve been talking about it since the seventies,” says Vale. The key thing from an Irish point of view is that we still have a veto so we can stop any changes, and we’re far from alone when it comes to hostility towards what the EU is proposing – both the UK and Germany for example are hardly in favour of it. Vale feels that the OECD’s BEPS (Base Erosion and Profit Shifting) programme is more likely to affect what’s going on with tax internationally should it come to fruition than anything the EU has in mind. My feeling is that if BEPS comes in a lot of what’s being looked at at present will fall away. If BEPS is seen as the global solution for tax avoidance you will probably see less pressure being brought upon our corporate tax. The only problem is it isn’t an EU programme, it’s OECD, and you get the feeling the EU might be feeling a little left out, hence their interest in driving on with their own project. The BEPS programme has the same issue of getting different countries to agree consensus as the EU’s proposals, so while it’s due to wrap up before the end of September don’t expect it to be headline news for a while yet. BEPS is more concerned with the likes of intellectual property law (i.e. paying tax in an area where your profits aren’t being generated) and innovation programmes than with, say, corporation tax. Vale acknowledges that Ireland is very much a junior partner in OECD so our input is essentially minimal. “We can’t do much other than stay abreast of it really, although if we can do something because they say we can we should do that,” he says. But certainly, let’s not do anything with the 12.5%. With BEPS they really aren’t overly concerned with rates so let’s keep it that way. There has never been more resources put into any other process than with BEPS, I’ve a feeling it’s going to be the only show in town. And as for tax harmonisation? 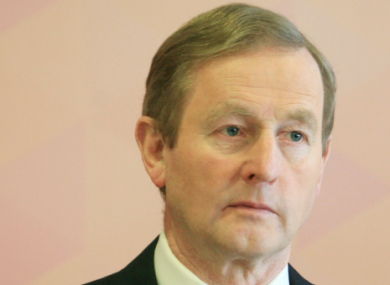 Email “I don't think so - Enda won't be giving up Ireland's corporate tax rate without a fight”. Feedback on “I don't think so - Enda won't be giving up Ireland's corporate tax rate without a fight”.